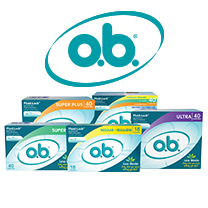 These o.b.® tampons are designed to reduce waste and are available in multiple sizes. Take a short survey to find out if you qualify for a FREE full-sized sample of o.b.® tampons. DISCLAIMER: I will be receiving a sample of these tampons in exchange for sharing the sample link with others. I will not be paid or compensated for this post. Michele's Little World holds no responsibility between the reader/customer or the owners of Smiley360 or o.b. In addition, Michele's Little World holds no responsibility for any problems that may arise from using the product. As with all personal health products, please consult your physician if you have any questions or concerns with using a new product.